Statistics say that 90% of childhood sexual abuse cases happen with a person the family knows, so we can no longer assume our kids are safe if we keep them away from strangers. This staggering number is why author Kimberly Rae is passionate about fighting human trafficking and sexual abuse of children. 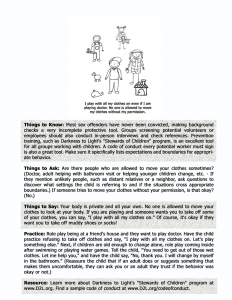 Kimberly will be on the blog this week for a 3-part series teaching parents and child-care providers to recognize and avoid sexual abuse. 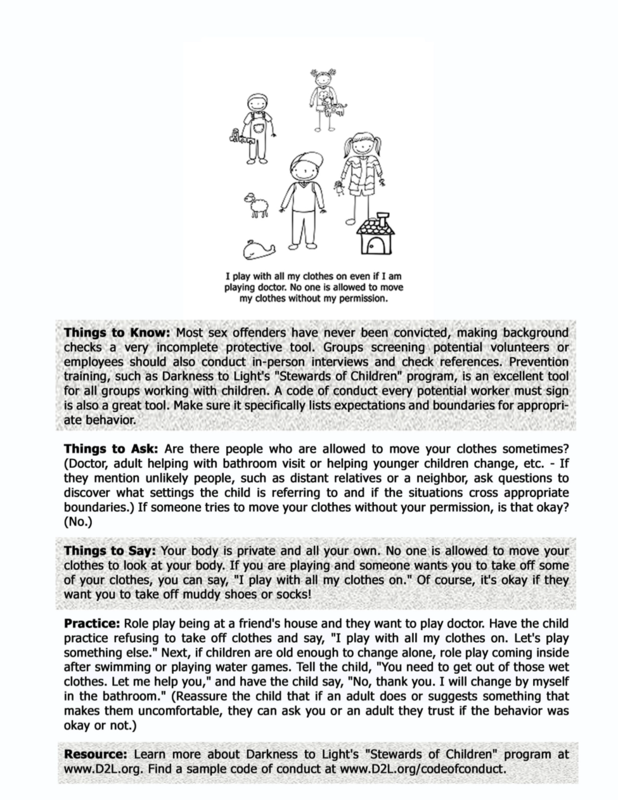 Be sure to check out Kimberly’s coloring book, I Am Safe, that teaches children important safety habits and download a few FREE pages below! We’d like to think we can shield our children from the evils of this world. If we keep them from strangers, or put blockers on our internet, they should be fine. Unfortunately, the recent news about Josh Duggar molesting young girls has proven that even the places we feel safest can house dangers. Add to that the terrifying statistic that 90% of childhood sexual abuse cases happen with someone the child knows, and we can no longer assume our children will never encounter a child predator. Need for volunteers – ever been in a Sunday School, VBS, or camp where they were so short-staffed any volunteer was welcomed with relief, with no caution whatsoever? Opportunities for one-on-one child interaction – again, those settings where adults are always needed, it’s not hard to find times when one adult is in a room with either a group of children or an individual child. Less background checks – in trusting environments it feels insulting to do checks or interviews or expect a code of conduct to be signed. We tend to think those are for legal settings, not settings where people love the Lord. A genuine love for children – if everybody really loves kids, having a special affinity for children is something praised, not a cause for concern. Do you see a pattern? A child predator can find a safe haven in Christian settings when the above are in place. They can use Christian-ese and find a perfect place to target children, without much fear of discovery, and unfortunately, even if they are discovered behaving inappropriately, can pretend repentance and often expect no real consequences. 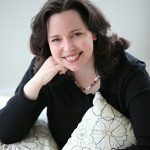 I write books for children and adults, and I also train on how Christians can fight human trafficking. 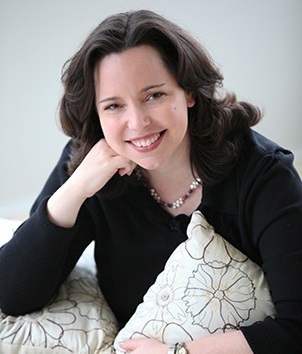 At my speaking events, after encountering more and more moms who were either once victims themselves, or who didn’t know how to broach this topic with their kids, I knew I had to do something. That’s how I AM SAFE was born. 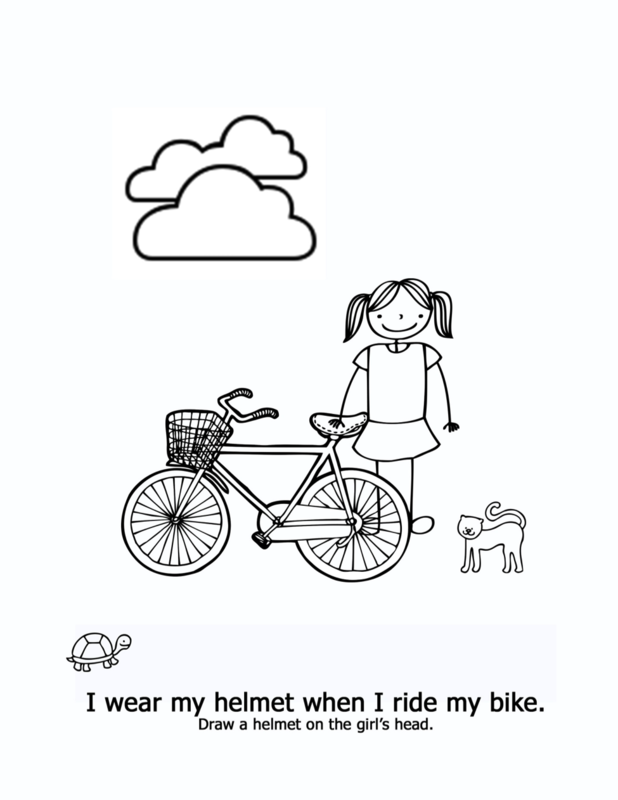 I AM SAFE, coloring book for children, has pleasant, cheerful pictures and begins with safety tips children are already comfortable and familiar with, such as fire safety or bike safety. 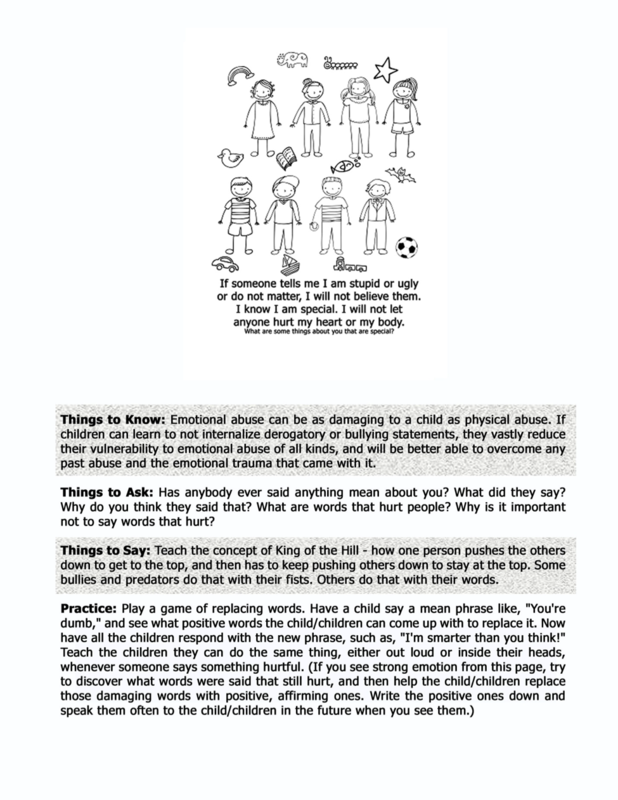 It moves into healthy ways to express the concepts of good touch/bad touch, what to do if an adult gives them a present or tells them to keep a bad secret, etc. 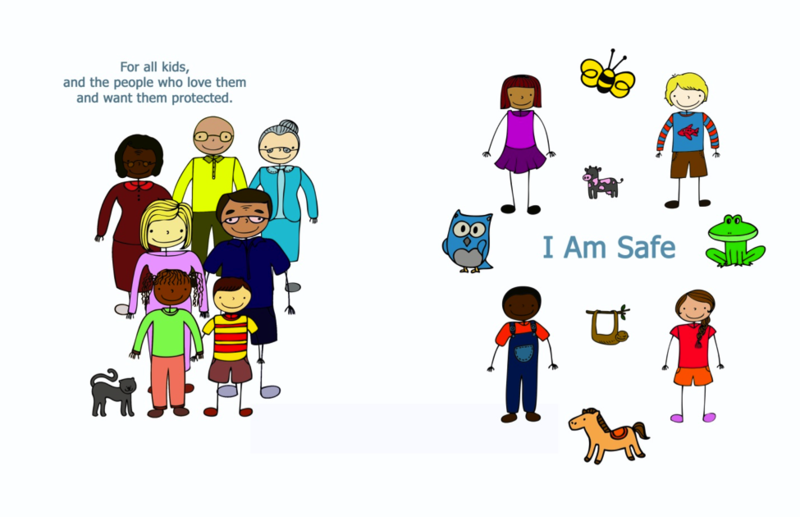 As a child goes through the book, it presents protective concepts in the same way for abuse as it does for fire safety, helping the child learn without being frightened. The pages in today’s post are free for your use. (More to come in following posts.) Click the image to open in new tab. Then right click to save the image to your computer! 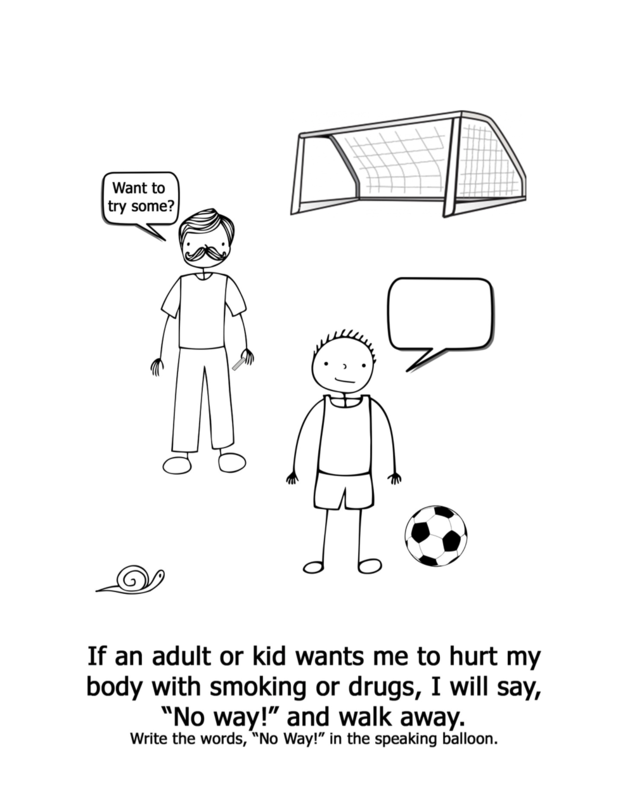 Most importantly, along with the coloring book comes a parent / teacher / advocate companion. This companion book has smaller versions of the same pictures, so an adult can color along with the child, creating a comforting setting rather than a “We need to talk” discussion setting. The adult version has additional information that can be adapted to the child’s age and level of understanding, including statistics, questions to ask, and some great ideas, such as using a family password. Download example companion book pages below! I have two children and would much rather talk comfortably over a coloring page than sit them down at the table and have a training session that will make us all nervous. I wanted something conservative parents would feel comfortable sharing with their children. I wanted something I could offer parents, teachers or advocates that would help victims talk about it and overcome, taking away vulnerability to further exploitation in the future. Find out more or order I AM SAFE at www.kimberlyrae.com. 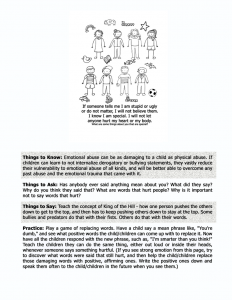 Next Post: Training to Prevent Childhood Sexual Abuse – Are We Overreacting?